Chile may be moving forward with a plan to integrate blockchain into its governmental infrastructure. Last week two Chilean MPs presented a resolution to the lower house of Chile’s parliament, urging the use of blockchain in Chile. Chilean news portal Fortin Mapocho reported that MPs Miguel Angel Calisto and Giorgio Jackson are pushing hard to get blockchain development moving along in Chile. 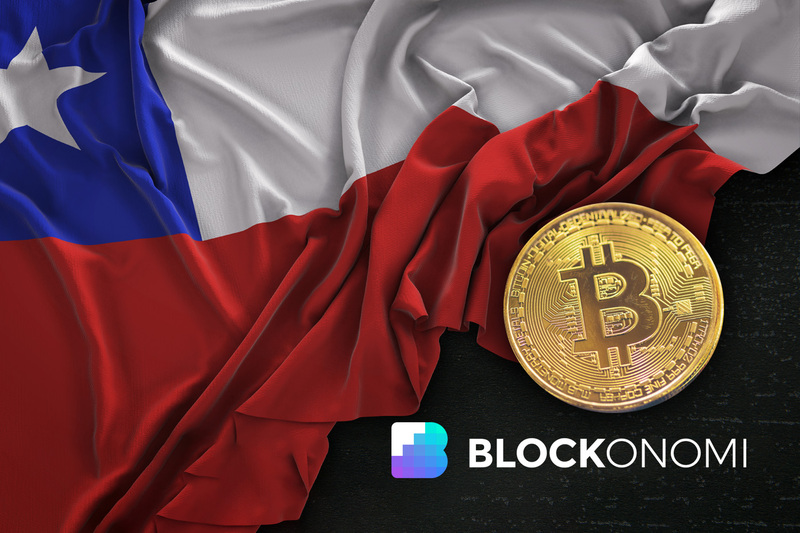 The two MPs that brought the resolution to the lower house have the support of eight other MPs, and they hope that Chilean President, Sebastian Pinera, will see the advantages that blockchain could create for Chile. Over the last few years Chile has been dealing with rising costs, and an increasingly unhappy population. Many of the social issues that Chile is facing relate back to bloated government expenses, and the taxes needed to maintain spending, which blockchain could help lower. Giorgio Jackson referenced a statement from the Chilean Economic Prosecution office, who stated that maintaining notaries in Chile has become too expensive. MP Jackson asserted that using DLT to deal with the piles of paperwork that Chilean notaries deal with would slash costs, and help the government reign in spending. Centralized ledgers have been the least bad system for most of human history. Using paper records that were carefully handled by governments and authorized agents is extremely expense, and in many areas of the world, archaic systems that date back centuries are still in use. The real problem is that all that paperwork has to be managed by people, and that makes a very simple system cost an enormous amount. Blockchain has the ability to remove humans from record-keeping to a degree that would be impossible with any other platform. Today nations have to deal with property records, but they also have numerous social assistance programs to facilitate. Chile’s neighbor Brazil is experimenting with a blockchain-based system to automate their pension system, and Australia’s science agency also sees a big potential for blockchain in public pension systems. Most countries already have a computerized database that contains detailed records for their citizens, but many of the social programs use different databases, and relatively complex procedures to distribute funds. Added levels of human oversight were necessary with centralized records, but DLT could be on the edge of changing the entire record keeping workflow for governments. Governments across the globe aren’t in great shape financially. The Pew Charitable Trusts recently stated that between 2015 and 2016, the pension shortfall in U.S. states grew by $295 billion USD In total, and that state pension plans have $2.6 trillion USD in cash to pay out a liability of $4 trillion USD. Paying for costly record keeping is not going to help governments cover their liabilities, and will only add to budget gaps. Bigger populations and longer lives will continue to stress the existing social benefits infrastructure globally. Blockchain could be a major cost-cutting tool for governments that doesn’t result in a lower level of service for the population as a whole. As tax revenues continue to decline on an inflation adjusted basis, governments will need every advantage they can find to maintain social order. A failure to embrace practical solutions not only looks terrible, it also may speed the decline of existing governmental structures. DLT’s capabilities are much wider than making pension payments, and if governments don’t look for ways to be more efficient, they could be replaced as well.